It doesn’t snow where I live. In fact, it’s not uncommon to see people in shorts on Christmas day. So, in order to have a white Christmas around here, you have to buy it in a can. 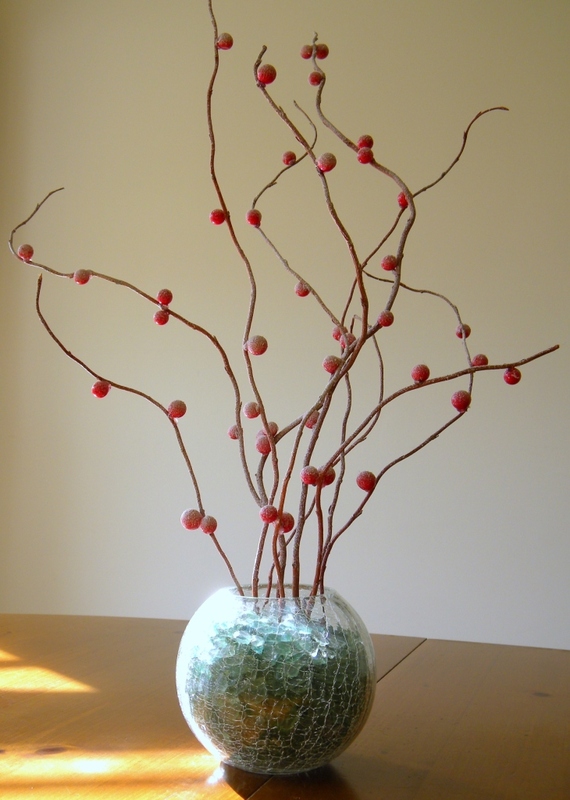 This year I wanted to some snow for my table centerpiece. 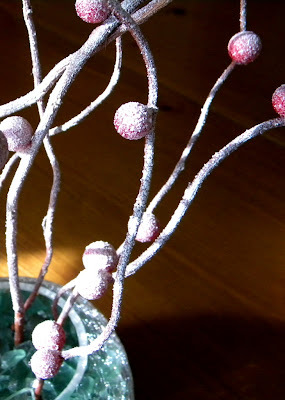 I created these berries in the snow using twigs, red faux berries and canned snow. Now, even though the sun is out, we can have a white Christmas too. I love your centerpiece. I'm one of your newest followers! Also, what is canned snow? It rarely snows in the southern part of where I am. But it snowed to death in NY, where I usually am! 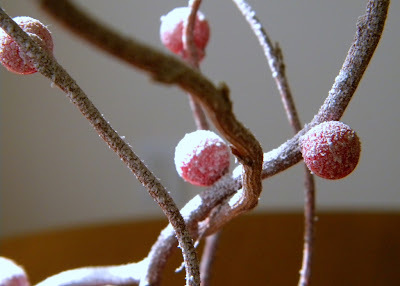 Son preciosas y casi no puedo imaginar como es una navidad sin nieve. Espero que pases unos días muy felices con tu familia, apesar del sol. Un saludo desde Madrid, España.